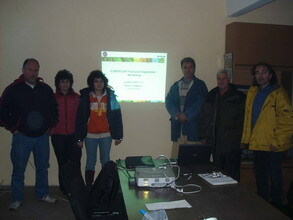 The DKG International Training Centre executed on 14.02.2007 an inhouse introductory EUREPGAP training course for the agronomist's team of Jasmin Agro Ltd in Strelcha,Bulgaria.The objective of this course was to inform the technical responsible persons of the company about EUREPGAP requirements for company's successful implementation of the EUREPGAP system. The course language was English with a translation in Bulgarian. Christos D. Katsanos, Official Eurepgap Trainer was the facilitator of the course. JASMIN AGRO LTD is a leader fresh produce company within the Balkan greenhouse industry.It owns a 24 hectares of glasshouses in Strelcha and Straldja regions where hydroponic tasty tomatoes and cucumbers are grown year-round.